At EOMC Outpatient Infusion Center, patients can rely on the comfort of having clinically trained, licensed healthcare professionals experienced in IV infusion therapy attending to their needs. While constantly monitoring nurse to patient ratios, we ensure our patients receive the individual attention they deserve. Patients are provided individual suites for comfort and peace of mind. 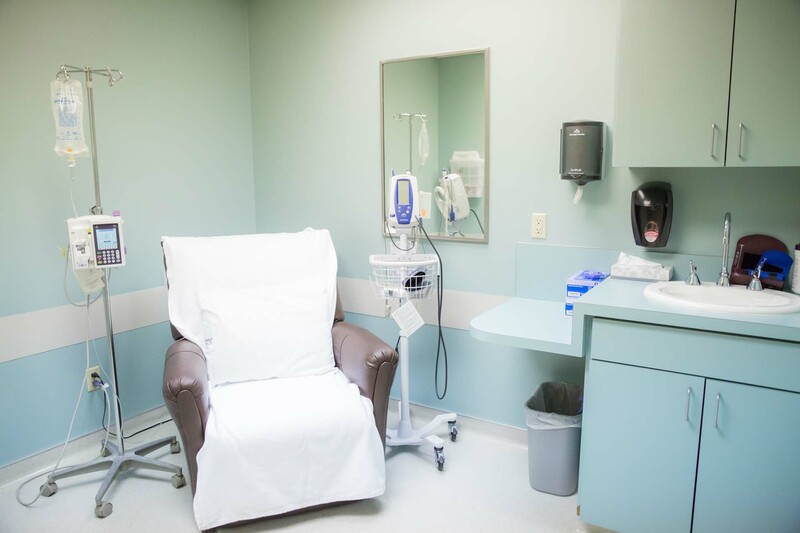 Our spacious personal infusion suites provide each patient a private restroom and TV to help pass the time while receiving their infusion therapy. They are furnished with accommodating, plush infusion recliners to ensure our patients are comfortable while our dedicated infusion staff attentively serve their needs. Infusion Therapy involves the administration of medication through a catheter as prescribed by the patient’s doctor. It is prescribed when a patient’s condition is so severe that it cannot be treated effectively by oral medications. Outpatient infusion therapy is a benefit on most insurance policies and is a lower cost alternative than inpatient hospitalization, emergency room visits and in-home services. Healthcare services are increasingly difficult to approve with insurance companies. Our dedicated case management staff authorizes all services with the patient’s insurance. Offering care they need, when they need it.